We’re passionate about office furniture. Let us help you create a positive & comfortable work environment! Furnishing every space in your workplace, from the reception area to the conference room to the cubicle farm to the executive suite, is a breeze when you work with PnP Office Furniture. After over 25 years of experience serving the Inland Empire, we understand what local businesses need: attractive, durable, high-quality furniture that won’t break the budget. We offer a range of new, reconditioned, and pre-owned items, plus affordable layout planning, delivery, and installation services. We invite you to stop by our Ontario CA store today to view our furniture selection and discuss your needs with our friendly staff. 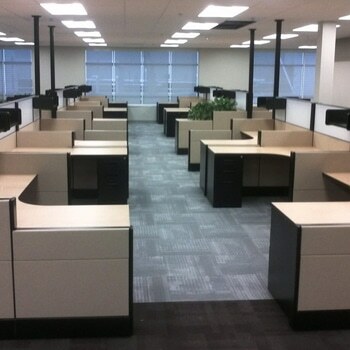 "We Buy Used Office Furniture"
Your office furniture can say a lot about your company. At PnP Office Furniture, we offer a broad range of styles and pieces that will allow you to create an environment that supports your company’s brand and vision. The design and layout of employee workspaces can have a major impact on their productivity and your bottom line. Whether you need to promote collaboration, preserve privacy, maximize floor space, or control noise, we can help you create the ideal furniture design. At PnP Furniture, we are always on the lookout for opportunities to snag high quality inventory at rock bottom prices. When we do, we pass the savings on to you. Be sure to check our specials each month for must-have items for your office. Shopping at PnP Office Furniture gives you access to high-quality furnishings at fair and affordable prices. 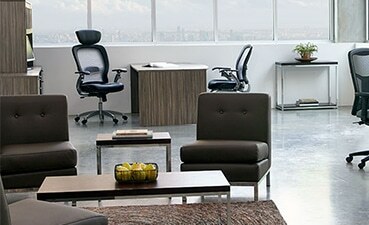 We have everything from cubicles to executive furnishings. We’ll help you select the right furniture for your needs and budget. Then, we’ll deliver and install them within a 50-mile radius of our store, all for an affordable price. Your satisfaction is our number one priority. Our friendly, experienced, and knowledgeable staff will go the extra mile to make sure you are happy with your furniture. 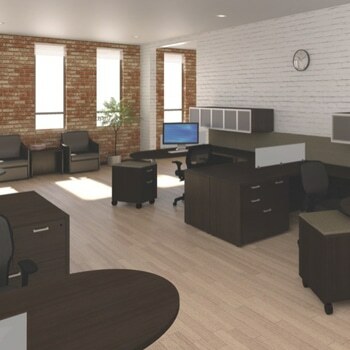 Are you in the market for new office furniture? 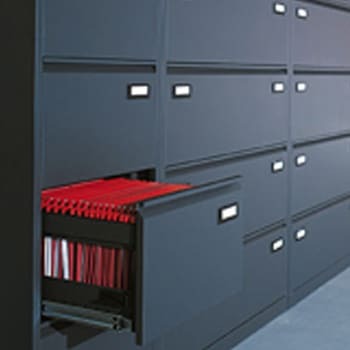 Contact us today to request a free quote on any items or services you may need. 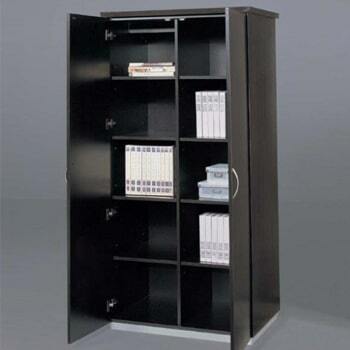 We bought a cherry wood file cabinet and bookcase, great prices and the cabinet and bookcase are top quality. When we got them home we were unable to insert one of the drawers back into the cabinet, we called the store and spoke with Todd(I think) and after a few minutes he said he would stop by on his way home and help us, which he did. Such over and above customer service is rare these days. If you need any kind of office furniture, this is the only place I would come. I am so delighted that I visited P n P Office Furniture in Ontario! I needed a desk for my computer and a file cabinet. Pat was very helpful, polite, and professional. There was a problem with the file cabinet because I have thick carpeting and the bottom drawer would not open. Pat arranged to have the cabinet picked up and made some adjustments to the cabinet, delivered it and the cabinet drawer now works perfectly. P n P is definitely a place I highly recommend because of the high quality of their products, reasonable prices, and the friendly and courteous staff. 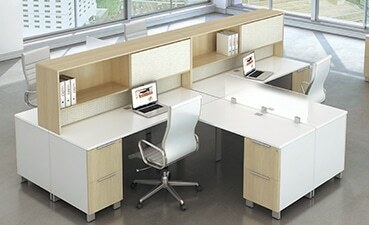 PnP Office Furniture is our go to supplier. 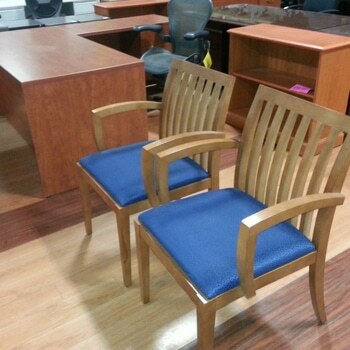 They always have a great selection of used furniture, nice new office furniture, and great office solutions. 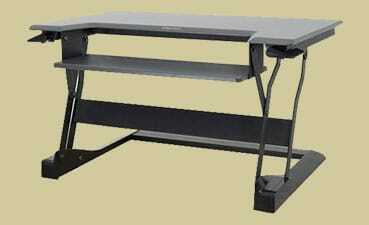 We have purchased several chairs and tables from PnP, as well as a drafting table. Always friendly customer service, very attentive and knowledgeable. Patrick and company are spectacular. Quality, pricing, shipping, communication, service....hitting on all cylinders in all aspects. I have purchased over $30,000 in items from them in the last 2 years for my school. I will continue to purchase from them because they are REAL people that enjoy their business and are great at what they do. Great prices, great selection and great customer service. We will be back for more office furniture in the future. They have a good selection on new and used furniture. They are extremely helpful when it comes to customizing your needs! They will also work with your budget. Was very please with both the quality and the price for the new u-shaped desk I ordered. Would order from here again! We were looking to buy a couple of desks for our new home, this place has new and used, we found the perfect desks, pretty old in excellent condition, dark cherry, real wood and beautiful, they fit perfect. They delivered right on time, set them up exactly the way we wanted them, I would recommend this place, and have, I will shop there again. I came here on a Saturday afternoon to pick up a used office chair for my home office. I had my eyes set on either a Herman Miller or Steelcase office task chair. I was helped by Pat who was knowledgeable and helpful. He helped me find the chairs I wanted and answered any questions I had. The prices were very good, especially for the used chairs I was looking at. It was also interesting to browse around and see the other items they have. They carry new and used furniture. I had to control myself to not purchase more than I had come for. However, I will be back here in the future for any office furniture needs. Because of the customer service, knowledge, selection, and good prices; I do not hesitate to give this five stars and recommend this place to my friends! I read reviews after looking for a decent used chair to edit photos with. Pat helped me out and was super nice. I found a good chair in the $100.00 department and I'm very happy with the results. Very heavy duty chair and once I got home and adjusted correctly I found my self in a very comfortable sitting position. No rush to look at things so I also found a cool sitting/standing desk I'm going to buy later this month or next. Pat was super helpful and calm with me asking questions , very good energy in that business. I'll be back and would say shop here for your own personal business or if you are in charge of buying office equipment for a larger conglomerate. This store has a lot of nice inventory priced fairly and equally important, they have exceptional, gracious and helpful customer service. Good selection of office furniture, I found what I needed. Great prices and great service. Alfredo was helpful and sincere. Dunn Accounting Service will be purchasing all our office needs from PnP From now on. Thanks Alfredo! I bought an office chair and file cabinet. They were friendly and loaded the items into my car. Prices were fair. I bought a chair for $89; I price checked the same chair new and it was over $300. The chair is in great shape. I love this place! Pat at PNP Office Furniture was just wonderful, he saved me from having to purchase a new desk chair, and a new desk chair is not cheap. 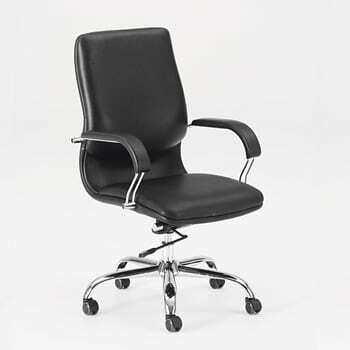 My chair is only 5 years old and the maker DMI Furniture did not return phone calls or emails. Frustrated with DMI's lack of customer service I found PNP Office Furniture, Pat said come down that day and he would fix my chair while I waited, now that is customer service. I reassembled the chair back in my office only to find another problem, so I called Pat and again, he said "bring it back and I will repair it at no charge", now I am really impressed. He did fix my chair and it works just like new again. Thank you Pat & Peg McKnight for running an honest and trustworthy business, you have a customer for life. I highly recommend PnP for all your office or home needs! 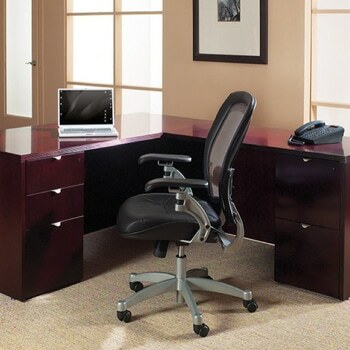 They have the highest quality office furniture and a very knowledgeable staff. The staff was friendly and prompt in helping me. The furniture I bought was used and in pretty good condition and it was priced really well.